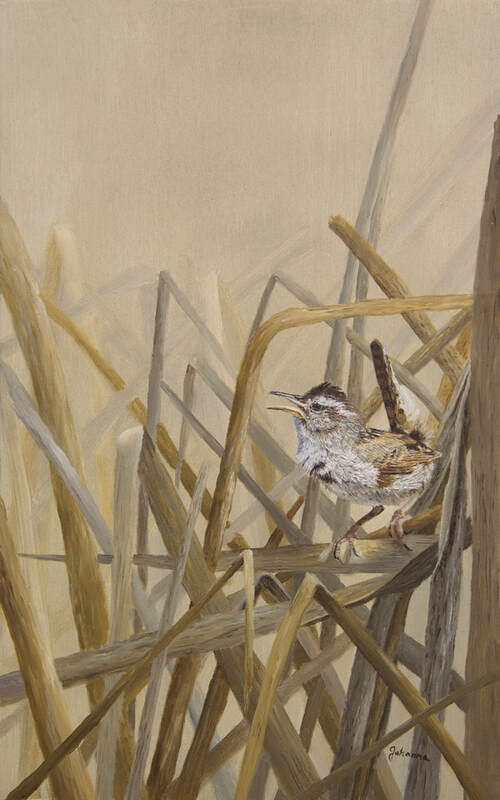 "A Song In The Marsh" is an original oil painting of a marsh wren singing his distinctive song. These little birds are hard to see as they blend in among the reeds and cattails and flit from one reed to another. These tiny birds are boisterous songsters. They sing not only throughout the day but also can be heard in the night.